China's Hebei province will slash 11.48 million tonnes in outdated steelmaking capacity to accommodate the expansion of a new plant, part of efforts by the country's top steel-producing region to rein in surplus production. China, the world's biggest steel producer, has been shutting outdated steel plants but also keeping any expansion under control to help tackle a years-long glut. Authorities closed more than 600 steel mills producing low-grade construction steel during the first half of the year, cutting capacity by about 120 million tonnes, the state-owned China Economic Daily reported earlier on Tuesday. Last month, China said it has reduced its total steel production capacity by 42.4 million tonnes as of end-May, meeting 85 percent of its full-year target. In Hebei, the combined reduction in steelmaking capacity at nine mills of more than 11 million tonnes was meant to make way for the expansion of a plant by Shougang Jintang Iron and Steel Co, according to a document published on the Hebei government's website this week. The expansion at Shougang Jintang Steel's plant will add new capacity of 5.1 million tonnes, it said. 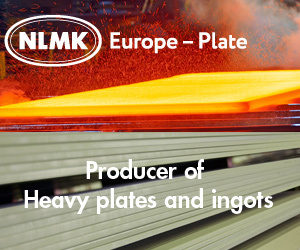 The entire plant, when finished, can produce 9 million tonnes of steel products annually. Shougang Jintang is a unit of Chinese conglomerate Shougang Group. Hebei aims to cut total annual steel production capacity to less than 200 million tonnes by the end of the decade from 286 million tonnes in 2013.